This post from The Steele Creek Dentist in Charlotte is for smiles that are overdue for a dental checkup and cleaning. During dental deep cleanings, our hygienists thoroughly remove the plaque and tartar above and below the gumline. By scaling and planing, they remove areas where bacteria can easily multiply. After your teeth have been cleaned, our dentist performs a thorough examination. They check for overall tooth and gum health, the presence of cavities, gum pocket depth, bite issues, and signs of oral cancer. Some individuals mistakenly believe that they can skip dental visits if they don’t notice anything out of the ordinary. This attitude is risky. Many dental troubles advance silently. When the patient experiences pain, much damage has been done. Gum disease, especially, often progresses unnoticed. The best way to keep your smile clean, cavity-free and beautiful is to see us at The Steele Creek Dentist twice a year for a cleaning and checkup. We provide a full range of general and cosmetic dentistry. Schedule your next appointment today. At The Steele Creek Dentist in Charlotte, we use advanced technology to provide our patients with the best possible dental care. We also keep up with the most recent dental research that is propelling the industry forward. A new type of filling created from ‘bioactive glass’ has been shown to lengthen the life of fillings by restricting secondary decay and replacing lost minerals. Stem cell regenerative medicine is poised to furnish a host of exciting innovations in dentistry. A research team from the University of Nottingham and Harvard University is applying stem cell technology to dentistry with the development of stem-cell based biomaterials that regenerate tooth dentin.2 The objective is to use them in fillings and root canals to save and regenerate tooth structure. The research is in its early stages, but this technology could one day help preserve millions of smiles for men and women worldwide. 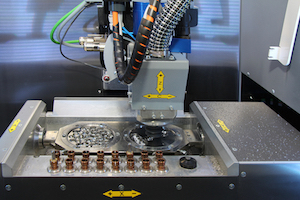 3D printing is already being used in some dental offices to engineer aligners, retainers, drilling guides for implant placement, and extremely accurate models for restorations. As the printers become faster and less costly, you will be seeing them in more North Carolina dental offices. Advanced technology has its place, but experience, skill, and a warm and attentive chairside manner are just as vital. The team at The Steele Creek Dentist in Charlotte invites you to experience the difference. Services include general and cosmetic dentistry. Call today to make an appointment. Most moms and dads make sure their kids brush their teeth. They do their best to limit candy and sugary drinks. And they make sure their son or daughter consumes sufficient amounts of calcium and Vitamin D. Some parents go even further and limit between-meal snacks. And yet, The Steele Creek Dentist treats tooth decay in young patients daily. Parents should be aware that there are four additional weapons for preventing cavities in children and adolescents. The first children to benefit from dental sealants are in their fifties and sixties now. Since then, dental sealants have proven to be effective at reducing pit and fissure dental caries. Resin dental sealants are applied in our office. The material bonds to the chewing surfaces of the back teeth, preserving the pits and fissures from decay. Fluoride supplements help strengthen still-forming teeth before they appear. Note that if you have fluoridated water, your pediatric dentist may advise against taking additional fluoride in supplement form. If your child is taking fluoride supplements, is an oral rinse redundant? Actually, no. Fluoride supplements help strengthen teeth that are still forming, but a fluoride rinse helps teeth that have already come in. Make sure you select one specifically created for children. Products labeled as a mouthwash may not contain fluoride. And they probably contain alcohol. 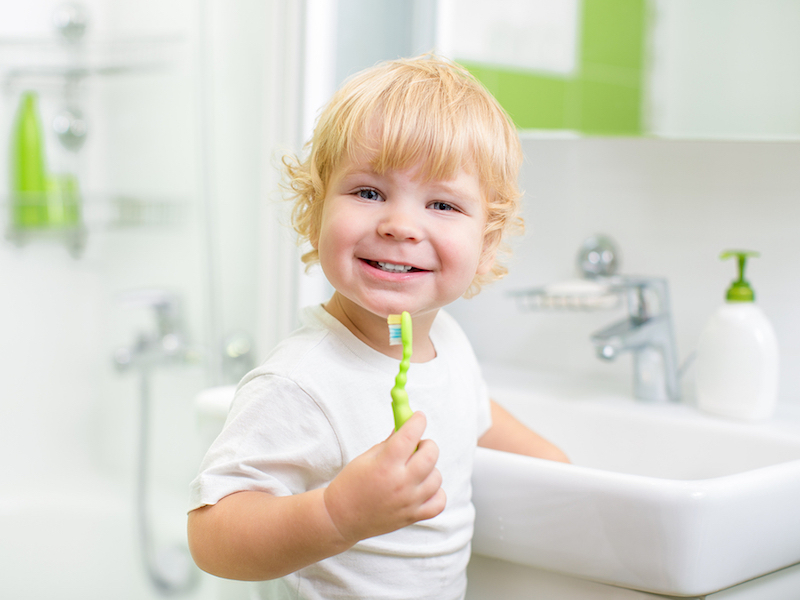 Oral rinses work best when children and adolescents swish after they brush and floss at night. The rinse should be the last substance to make contact with teeth before bed. This helps teeth re-mineralize during sleep. At The Steele Creek Dentist in Charlotte, we make sure all our young patients have healthy teeth and gums. 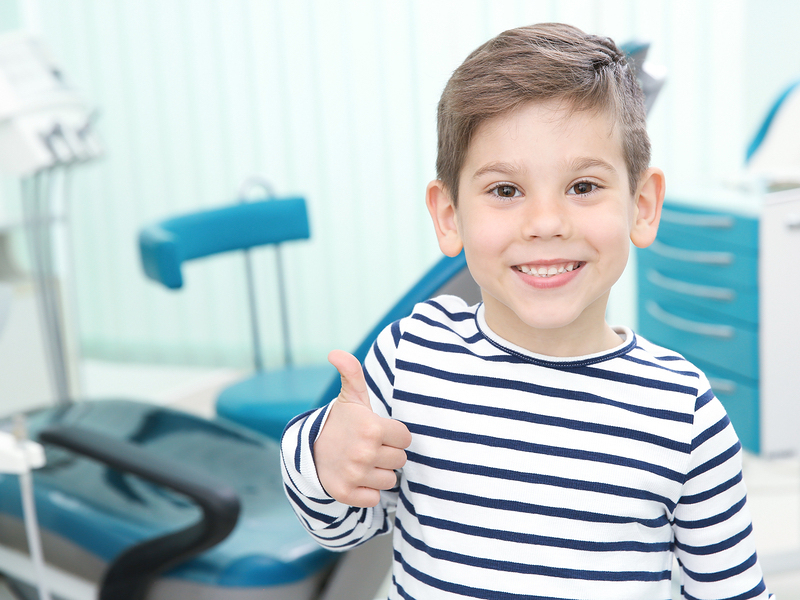 We offer pediatric dentistry for kids, and general and cosmetic dentistry. Schedule an appointment with us today. At The Steele Creek Dentist in Charlotte, we place a lot of importance on the dental health of each and every one of our patients. Too often dental health is not taken seriously enough, even by people who should know better. In this post, we are going to review some of the most important reasons for taking good care of your teeth and gums at home, and seeing us for a checkup twice a year. Those are three very good reasons. But there are lots of other reasons why you should prioritize your dental health. You may wonder: why does my mouth have so much to do with my overall health? The answer? If your eyes are the windows to the soul, the mouth is a window to the rest of your body. An examination of the mouth, and saliva in particular, can reveal the presence of systemic conditions such as AIDS and diabetes. Incredible as it may seem, more than ninety percent of systemic diseases reveal themselves in the mouth. Saliva testing can also reveal the presence of environmental toxins that indicate hepatitis and other serious illnesses. Brushing and flossing may not help you ward off systemic conditions, but they can be detected by a dental exam. We’ll wrap up this post with a predictable reminder: never go to bed without brushing and flossing your teeth first. Remember to brush for at least two minutes and to thoroughly brush the inside and outside of your teeth. And don’t forget your tongue! At The Steele Creek Dentist in Charlotte, we want all our patients to have happy mouths – good dental health, in other words. We offer general and cosmetic dentistry. Schedule your next checkup with us today! At The Steele Creek Dentist in Charlotte, we almost always tell our patients to use a soft-bristled toothbrush on their teeth. Our recommendation is usually enough, but sometimes patients ask, why? Why soft? We’ll use this blog post to explain. At The Steele Creek Dentist in Charlotte, our services include general and cosmetic dentistry. Call our office to schedule your next checkup and cleaning today. At The Steele Creek Dentist in Charlotte, we constantly remind our patients to brush and floss their teeth after every meal. And most of our patients take that advice to heart. But what are you supposed to do in the middle of the day? You’re out and about, and your usual stuff – that favorite toothpaste, the container of dental floss – is at home in the bathroom. A quick brushing is good, too. An excellent trick is what we call dry brushing. That means brushing your teeth without toothpaste. Yes, it sounds a bit strange – but it’s effective, especially if you can use a little water, too. (We know of other dentists who do it themselves.) It isn’t the way you would brush at home, of course, but it’s going to clean the surfaces of your teeth – and that’s half the battle. At The Steele Creek Dentist in Charlotte, we want each of our patients to keep their teeth clean during the day, and hope these suggestions help. We would also like to see you in the office every six months. Our services include general and cosmetic dentistry. Schedule your next checkup and cleaning with us today. Even if you value a healthy smile, it’s easy to become somewhat lax about taking care of yours. In this message from The Steele Creek Dentist in Charlotte, our goal is for you to evaluate where you stand and consider whether you could step it up a notch. Committing to oral health best practices can prevent future problems and benefit your quality of life. Better: Brush teeth properly after each meal. Good: See the dentist if you get a toothache. Better: See us once a year even if you don’t notice any dental problems. Best: Twice-yearly, have an intensive dental exam and professional dental cleaning at The Steele Creek Dentist. Better: Use an OTC whitening product at home. Best: Schedule an in-office whitening treatment. Good: Eat a nutritious diet. Best: Eat a sensible diet, limit between-meal snacking, eat lots of calcium-rich foods, minimize sugar-filled foods, abstain from energy drinks and soda, and sip water throughout the day to keep acid at bay. Good: Never put your infant to bed with a bottle. When your toddler starts drinking from sippy-cup, don’t let them sip juice or milk all day. Better: Follow the previous counsel and schedule his/her first dental checkup before the first birthday. Best: In addition, talk to us about dental sealants when your child is young. When your little athlete starts participating in sports, make sure he/she wears a protective mouthguard. Set a good example of daily dental hygiene and healthy lifestyle choices. The Steele Creek Dentist in Charlotte wants all of our patients to enjoy good dental health, and to see us for a checkup and cleaning twice a year. Our services include general and cosmetic dentistry. Make an appointment today. This post from The Steele Creek Dentist in Charlotte focuses on an article that appeared on ScienceDaily.com. The article describes a study of Brazilian ICU patients that compared infection rates of those who received enhanced oral care instead of routine oral care. The patients who received the more intense dental care were 56 percent less likely to develop a respiratory infection during their stay. Though this study pertains to ICU patients, it is also a reminder to all of us. If a member of your family has serious health matters, you may want to talk to their doctor about the oral health implications of their condition. Receiving consistent quality dental care and practicing proper daily oral hygiene is vital for everyone. Some patients have an inaccurate view of oral health – they seem to have the notion that it exists autonomously. It is actually interdependent with general physical health. At The Steele Creek Dentist in Charlotte, we see ourselves as key members of your healthcare team. 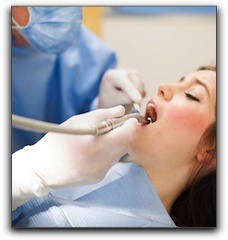 Our services include general and cosmetic dentistry, and emergency dental care. Schedule your next appointment with us today. Chompers. Pearly Whites. Dents. Gnashers. Grill. While you can switch up what you call them, The Steele Creek Dentist in Charlotte reminds you to never switch up a well-ingrained oral health routine. Practicing proper oral hygiene daily with pay off throughout your life. You’ll prevent plaque, tooth decay, and gum disease, not to mention bad breath. Speaking of pearly whites, following basic dental health advice will help keep your teeth looking their best as well. If you’re interested in a smile makeover, we can tell you about procedures such as teeth whitening, porcelain veneers, cosmetic bonding, and dental implants. The Steele Creek Dentist in Charlotte offers cleanings and checkups to help you keep your dental health at its best. We also offer general and cosmetic dentistry. Schedule your next appointment with us today. Good dental health means having healthy teeth and gums. Maintaining it is something that you have to work at every day. It can be a real balancing act: using the right oral care products, your personal oral care habits, and seeing The Steele Creek Dentist in Charlotte twice a year. Daily brushing and flossing. You should brush and floss twice a day. Just before bedtime is especially important, because it cleans out the germs and plaque that build up during the course of the day. Proper brushing. It’s important not only to brush, but to brush properly. Use a soft-bristled toothbrush in a gentle, circular motion along the gum line. Take your time; a minimum of two minutes is recommended. Don’t forget to brush your tongue! Flossing. Flossing not only loosens debris between the teeth, it also stimulates your gums and helps to lower inflammation. It also reduces plaque buildup. Should you floss before or after brushing? It doesn’t matter; just be sure you do it. Using fluoridated toothpaste. There is a myriad of choices when it comes to toothpaste. Whether you prefer mint flavored or bubble gum, fluoride is the most important consideration. It is your best defense against cavities. Limiting sugary and acidic foods. Acidic fruits, teas, and coffee contributes to enamel erosion. Sugar converts into acid when it’s in your mouth. You don’t have to avoid these foods entirely, but choose carefully and minimize. Seeing the dentist twice a year. You saw this one coming, right? Your daily dental health care habits are essential, but so is the attention and care of a dentist. A professional teeth cleaning alone is worth the trip, but we can also identify issues before they become serious, and treat them. The Steele Creek Dentist in Charlotte provides general and cosmetic dentistry, and has extended and weekend hours. Schedule an appointment with us today.